Convey pure merry emotions to your prized ones by sending them this Magnifying Plenitude Diwali Set and let their Diwali moments be tainted with all the heartiness. 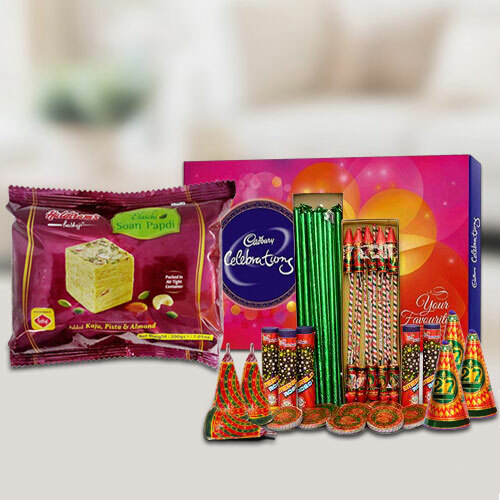 This enjoyable Pack gets completed with 500 gms (Gross Weight) Soan Papdi, a Box of Cadbury Celebration Chocolates (Net Weight: 118 gms) and Crackers. Note: Types of Fire Crackers depend upon their availability.